Today’s the day! Y’all, I’ve been excited about this sale for the last full week and now it’s finally here. 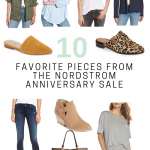 If you’re a cardholder you have Early Access to shop the Nordstrom Anniversary Sale beginning 3 AM EST! The sale will open to the public on July 20th at 3 AM EST. 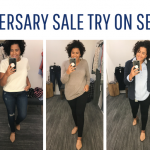 To refresh, the Nordstrom Anniversary Sale is the biggest sale of the year because it’s all brand new fall merchandise, marked down for a limited time, when the sale is over the prices go back up to full price! It’s such a great time to do your fall shopping, stock your closet on basics like tees, sweaters, leggings, beauty items, and bras. It’s also a great time to splurge on any higher priced items you’ve been wanting like handbags, watches, jewelry, and shoes. I’m headed into my local store this morning so I’ll have more information on fit and quality later this afternoon but there are so many great options I wanted to get you guys a quick overview of the things I have my eye on right now and things I think will sell out quickly. 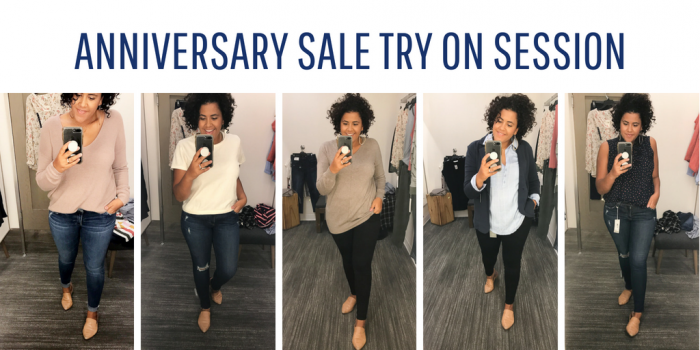 I’ll be updating this post later in the day with the try on session sharing all my in-store finds so be sure to bookmark this page and check back throughout the day! If you follow my Instagram Stories, you’ll likely see the try on session first over there. My biggest tip for the sale is to SHOP ONLINE! The store will not stock every item of the sale and shipping is always free. It’s such a great thing to shop in your jammies with a cup of coffee in hand. You can even shop and have the items shipped to the store, try on in the store and return what doesn’t work right there. You can also do curbside pick up for the items that your store has in stock so you can still shop your store’s stock without stepping foot in the store, so so convenient! Now for my picks! My style is very casual – jeans and a tee is my usual momiform for running around town. I like to think of myself as a “real” person with a very average body type ( for reference I’m 5’3 about 140. I usually wear a S-M, or 6-8). Later this afternoon I’ll share my favorite in these other categories: Men’s, Kids, Home, and Under $50! I’ll be able to break down the sale even further and I’ll be sharing the best basics, tops, denim, outerwear, accessories, and beauty. As well as share some outfit ideas in the next few days! Since this is such a popular sale, there are items that sell out really fast so I wanted to share a few of those items that I’m ordering RIGHT now so you can snag them before they’re gone. Shop all my picks for women here. Shop all my picks for items under $50 here. 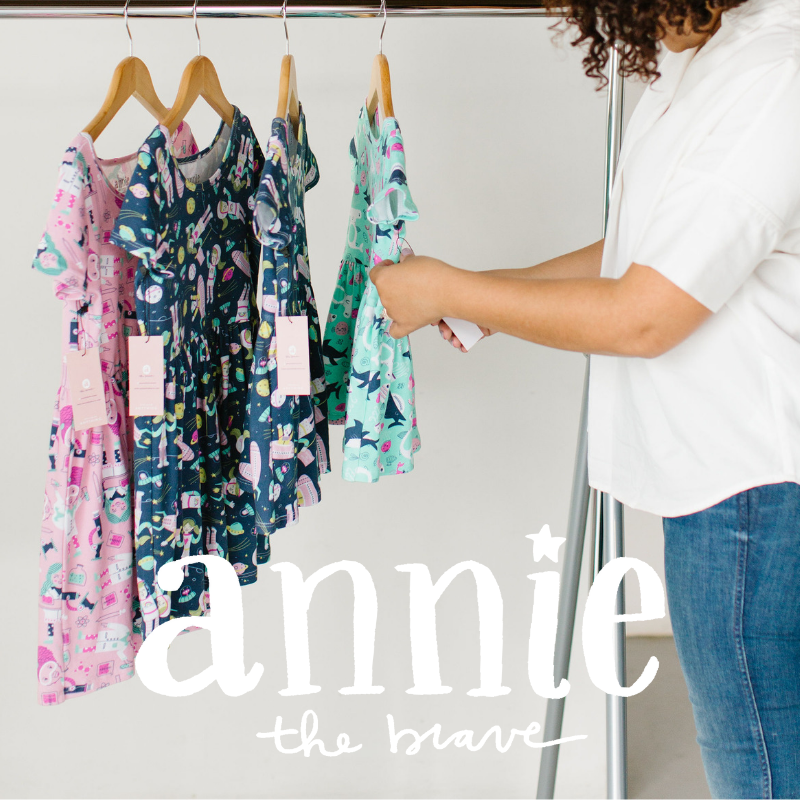 Shop all my picks for kids here. Shop all my picks for men here. 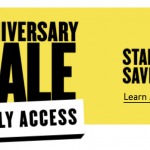 I think this is probably my favorite year for the home category of the Nordstrom Anniversary Sale. I love the selection of affordable pillows, the throws are gorgeous, and the rug options are great! 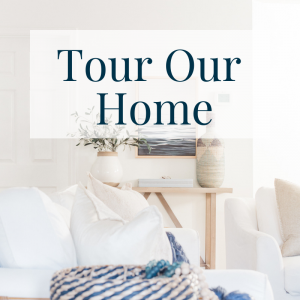 I pulled a few of the things I have my eye on but I encourage you to check out all of the items because there are so many good things, especially if you are looking for affordable, quality home items. The pillows | I am really loving this leather pillow. It comes with a down insert and is perfect for fall. The warm tones are a perfect compliment to the usual blues and whites I go with. 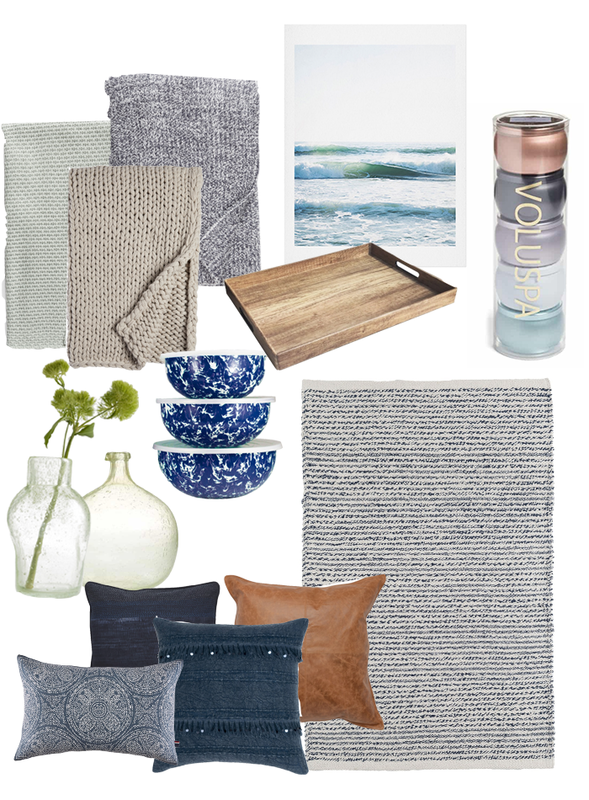 I also love the batik oblong pillow, perfect for a bed or a chair and the indigo pillow with fringe is my fav! I’m getting two for my bed. The throws | I always grab a couple of throws for fall/winter because everyone always wants one to snuggle up with when we’re on the couch. I am obsessing over the chunky knit throw. It’s $65 which seems steam but is a major steal as it’s a dupe for the more expensive chunky knit throws that typically sell for $100-$200. I also am seriously considering the Barefoot Dreams blanket. I’m definitely grabbing the cardigan this year – everyone raves about how comfy it is and that it washes well so will last forever. Is there anything better than a sweater in blanket form? This Dash and Albert rug is one I’ve had my eye on for awhile. I’ve shared it previously on Good Stuff Saturday. I just love it and want the runner so badly for my kitchen. It’s only $88, an absolute steal for a Dash & Albert beauty! Art Prints | MAJOR DEAL ON WALL ART FRIENDS! I shared this set of DENY designs art prints last year and they were really popular. This year there are even more affordable wall art options. I’m grabbing this print in the 16×20 size for less than $20 (hint – that is a serious score!) Pair this print with some of my freebie beach prints for a beautiful gallery wall. See the try on session here. Anything you’d like to see me try on or check out in the store today? Let me know in the comments! I’m hoping to buy a great pair of jeans and a dash and albert rug! My fingers are crossed! Pajamas! They have the best & softest pajamas! So many home items…and new boots! I’m looking for some cute boots! I would also love to stock up on jeans and tops. I always forget that Nordstrom’s has home decor items. Thank you for reminding me. Always the shoes! I can never go wrong there during the sale, that beach print you shared I’m loving for my hall, but I’m really looking for back to school clothes for the boys and I can always find great steals during the sale! That leather pillow and those chunky throws ? I’m most excited about great fall clothes! 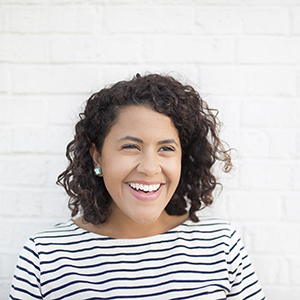 I love what you have done in encouraging people to love their homes! I’ve been going through your course and have really been blessed! I will be looking at the home decor in Nordstrom! I love your casual style! This sale is so exciting, yet so overwhelming. Shoes are always something I’m looking to snag, and outerwear for the fall! I’ve recently lost weight (38 lbs. so far!) and need new clothes! I’d also like to shop for some draperies for a guest bedroom. So many ideas! I’m so excited about this sale! I’m excited to purchase the zella leggings and the barefoot dreams cardigan! Going to be perfect for fall and winter!! Such great finds on this list I’m definitely going to have to check them out!! I like the boots on sale! i saw somewhere that the classic longchamp bag will be in the sale? i’d love to replace mine, b/c after two straight years of every day use, it could stand to be moved to the carryon category, not work category. I’m hoping for some Jeans and a leather pillow! I will be looking for those under $12 tees, but then maybe I will splurge on the utility jacket, or the waffle knit cardigan. Thanks for sharing your great ideas! I’m hoping to get a Barefoot Dreams cardigan or two! I could definitely use some new jeans! Those throws are very tempting too! I’d like to buy some jeans and a plaid trenchcoat. So excited about this sale and the opportunity to win this gift card! I plan to purchase some of the staple items I need, like Zella leggings and the CozyChic Lite Circle Cardigan which looks SO comfy! 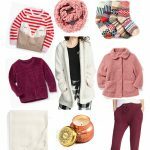 I’m hoping to get the Gibson cozy fleece cardigan and those mixing bowls you have as a favorite pick! I would like to get fall boots. Thank you for the giveaway! I need a swimsuit coverup. I do not see a link to subscribe to the Casual Saturdays Newsletter…just a place to subscribe for access to the vault. Got an email and put in the password, didn’t seem to do anything? I’ve had my eye on some fleece lined leggings which seems like such an odd commodity but it’s true! I also really like the really long duster cardigans! I need some new shoes and a wallet too. I’m loving all of the cozy cardigans and beautiful home decor! Thank you for all of your hard work!! I would really like to try the Nordstrom brand crewneck cashmere sweater. So pretty! Love all your picks! I’ll be shopping public access! Can’t wait!! I’m looking for a new comforter set or a quilt or bedspread for my bedroom. I would purchase some dresses and cardigans! I’m hoping to buy an Ugg throw. Time for new jeans! I’m also totally in the utility jacket boat! For the shoes and jeans! My bed would love to have the Kate Sade poppies comforter & sham set. I always like t try and switch up my bedroom decor every few months. So many amazing picks! Funny, because I have been wanting the Theo rug too! It’s so nice! I also really love these blanknyc The Rivington Ripped Jeans! I am so excited about kut from the cloth jeans and the cardigans!! I can’t wait for fall! ? I’d love a new area rug and throw pillows!! It’s all so pretty!! I am excited about purchasing jeans and a sweater for fall. I’ve been wanting a pink bag for so long, and I see the Nordstrom Anniversary Sale has a bunch on sale including a couple Tory Burch! And I’d love to get some of their nice undies on sale, too. I’ve got the Blanknyc suede jacket in my cart. I’ve also heard such good things about the AG jeans, but they seem so pricey.